With a long standing reputation, Tulving-Blais International Business & Tech Law dedicates itself to working with clients to realize their business goals. Since the beginning, our mission is to focus on providing quality timely advice to assist our clients make their important business decisions and transactions. We take the time to ensure the work we do is responsive to the specific markets within which our clients operate. Given our specialty in assisting SME's and Startups, particularly those with international reaches, our advice and service helps businesses grow and navigate their respective markets. Working across industries, we cater to ambitious businesses and individuals. Every business, startup, product, or service, we help with is a matter of pride - for our clients and for us. Elo established Tulving-Blais International & Tech Law in 2007 after 15 years of specializing in international business law and intellectual property/technology law at other firms. Elo received her B.A. and M.A. degrees in Political Science-International Relations from the University of Toronto and her LL.B. and B.C.L. law degrees from McGill University. These two law degrees represent the two legal systems of Canada: the LL.B. for common law provinces and the B.C.L. for the civil law system in Quebec. Elo is a past chair of the International Law Section of the Ontario Bar Association. She is a founding member of the editorial board and longtime Editor-in-Chief of Canadian International Lawyer, Canada's premier law journal published for practitioners of international business and trade law. Elo is a member of the Licensing Executives Society (US and Canada) and was a member of the executive of its Toronto Chapter from 2006 to 2010. She is a Registered Trademark Agent for Canada. She speaks English, French and Estonian fluently, and is familiar with Japanese and German. She is currently studying Turkish. For several years, Elo taught the well-known "Legal Aspects of International Trade" module of the Forum for International Trade Training (FITT) program both at Ryerson and Carleton Universities. Elo is frequently invited to speak at Continuing Legal Education seminars for lawyers, as well as at seminars and conferences for business audiences. She has written and published numerous articles on topics related to intellectual property, international business and doing business in China. 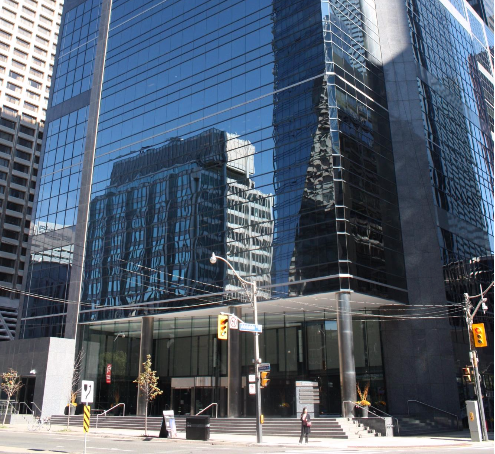 Elo is a member of the Law Society of Upper Canada, the Ontario Bar Association, the Canadian Bar Association, the Licensing Executives Society.